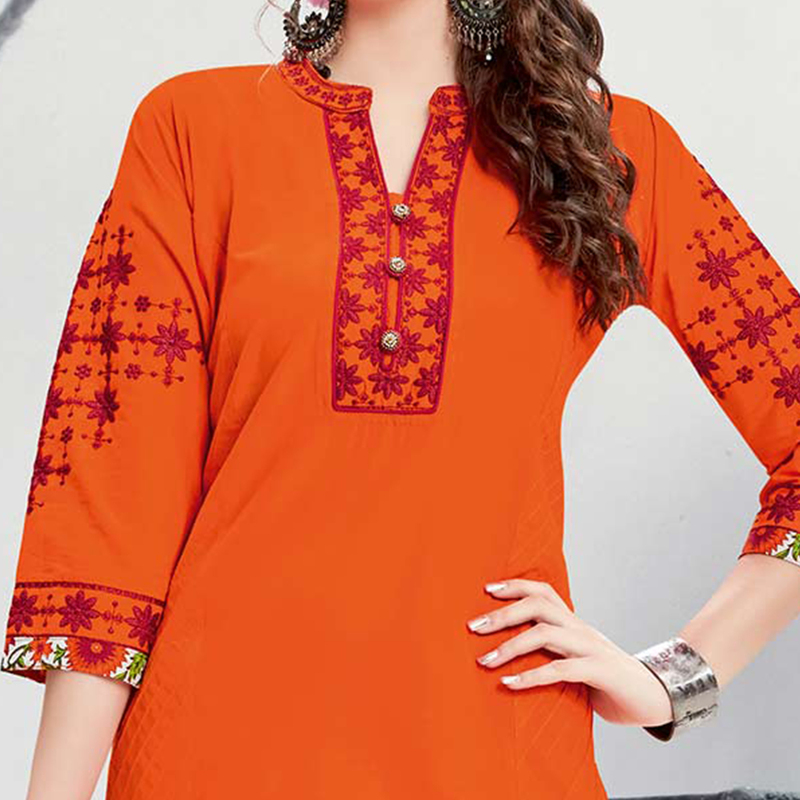 Design, style and pattern would be at the peak of your attractiveness once you dresses this orange colored patiala suit. Its top is fabricated on cotton with embroidery that keeps you comfortable all day long. 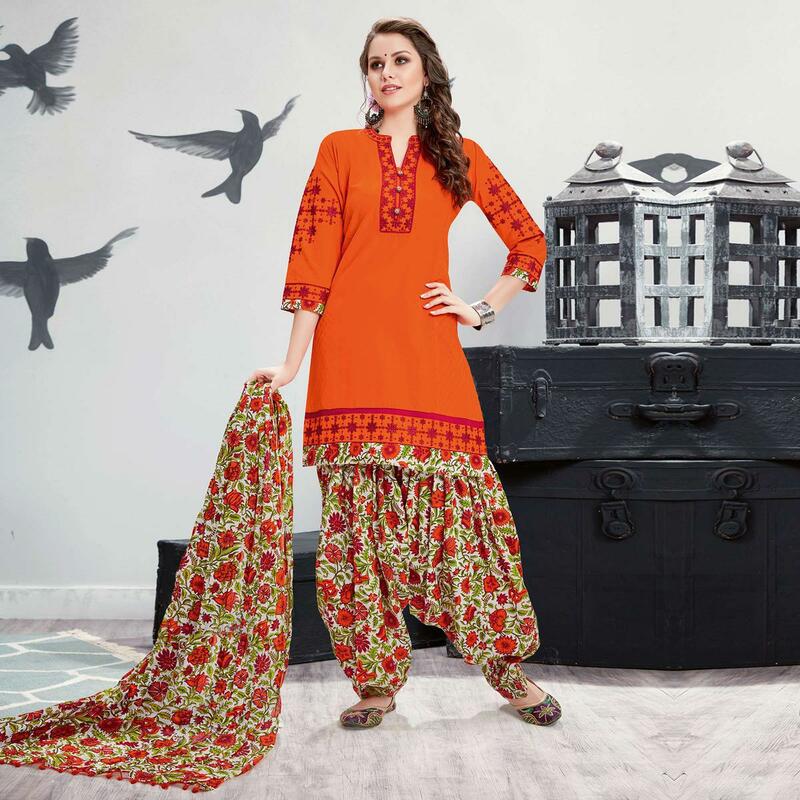 This suit look has been beautified with contrast color printed pure cotton bottom and printed cotton dupatta. It's a perfect outfit to wear for kitty parties, casual outings, work place and social get together. Pair this stitched suit with stylised accessories and kolhapuris for more attractive look. Buy now & fetch compliments for your rich sense of style. Length Length Upto 38 Inches.